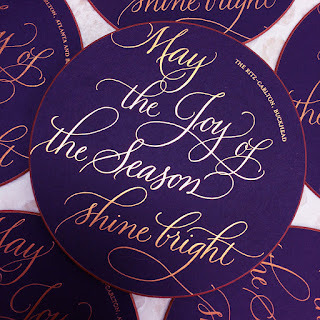 Tova Glenn, of Brighten My Day in Atlanta, designed this holiday card for the Ritz-Carlton in Georgia. 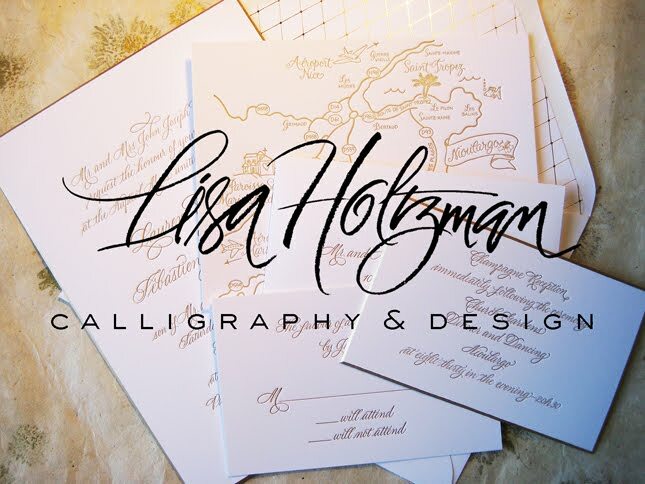 I had the pleasure of working with her to incorporate my calligraphy. 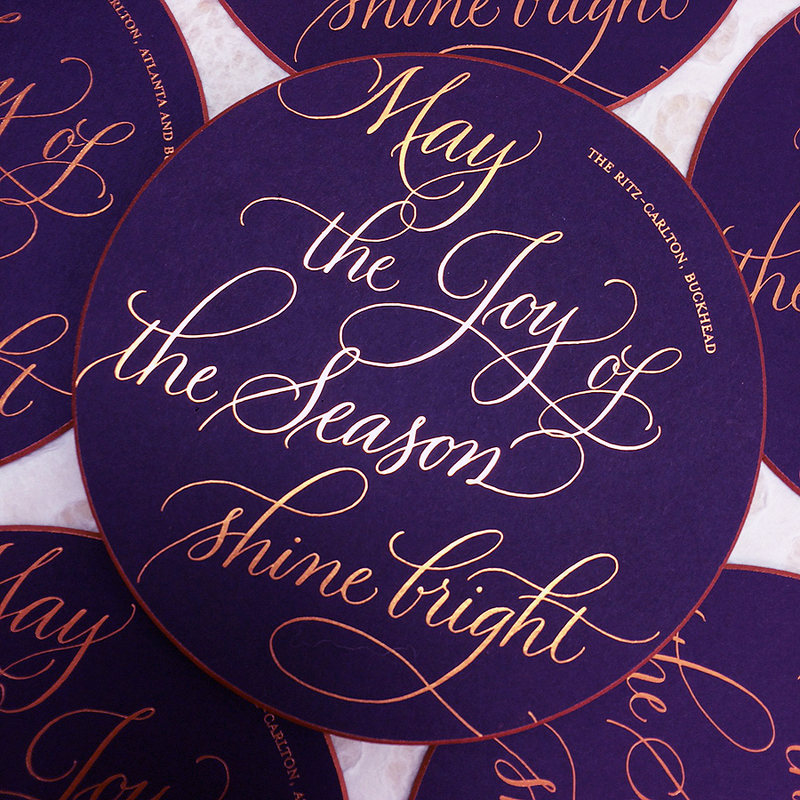 This unique, circular card is deep eggplant with copper foil stamped lettering and a beveled copper edge.